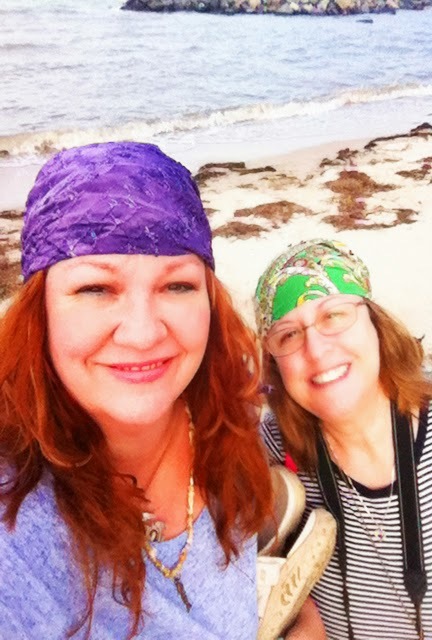 After hitting the beach with our “pirate” scarves on our heads, we then drove along the marsh lands, and into the woods. We found the “Old House Woods Rd” sign and drove down the dirt road. At the end of the road was a gate with “Private Property” on a sign. We drove back to where the road curves, and stood outside the car while the sun was going down. It was basically quiet with a few critters making their presence known. We decided that the pirates were not interested in looking for their treasure that night, so we left. We did find a couple of abandoned houses we thought could be the old house mentioned in the fables, but we were not sure. On the way back to our hotel, we were treated to an amazing sunset.